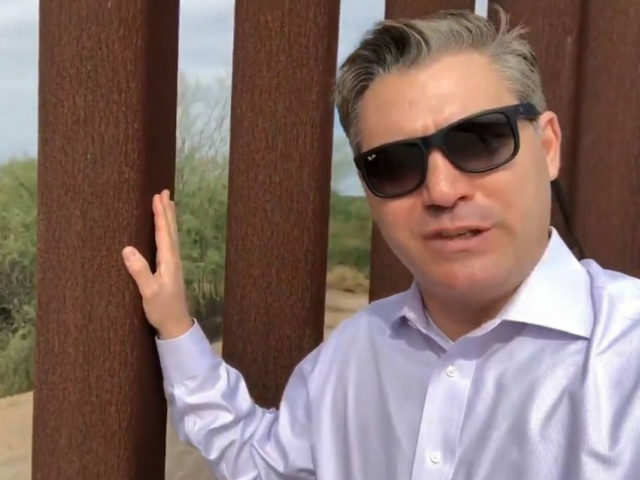 CNN White House correspondent Jim Acosta appeared to inadvertently make the case on Thursday for a steel version of President Donald Trump’s border wall. ….The only reason they do not want to build a Wall is that Walls Work! 99% of our illegal Border crossings will end, crime in our Country will go way down and we will save billions of dollars a year! A properly planned and constructed Wall will pay for itself many times a year! “We simply cannot allow people to pour into the United States undetected, undocumented, unchecked…” Barrack Obama, 2005. I voted, when I was a Senator, to build a barrier to try to prevent illegal immigrants from coming in…” Hillary Clinton, 2015. President Trump will visit the U.S. southern border in McAllen, Texas, on Thursday. Michelle Moons is a White House Correspondent for Breitbart News — follow on Twitter @MichelleDiana and Facebook.